Avri Levitan is an internationally acclaimed violist and the director and co-founder of Musethica. Levitan grew up in Israel, where he studied in the Rubin Academy of Music in Tel-Aviv and later in the Conservatoire de Paris-Cycle de Perfectionnement. 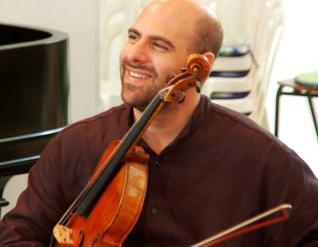 Avri Levitan has established himself as a sought-after soloist, chamber musician and educator performing regularly on many of the most important world stages. He was nominated for the BBC Music Magazine Awards and the Royal Philharmonic Society Music Awards.